- ELEGANT AND TIME SAVING SOLUTION - Forget About the Hassles of Patching and Painting Your Wall with this Beautiful Thermostat Plate Cover. 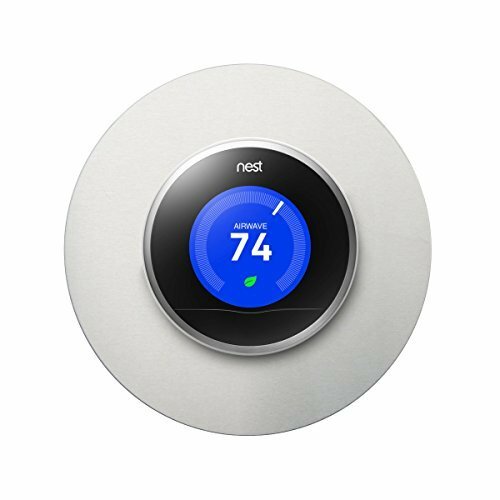 Designed to Match Your 1st, 2nd, 3rd Gen, and E Nest Thermostat, It will Turn Your Thermostat into a Gorgeous Decorative Piece that will Look Good in Any Part of Your Home. Much more attractive than the plastic plate included with your Nest Thermostat.